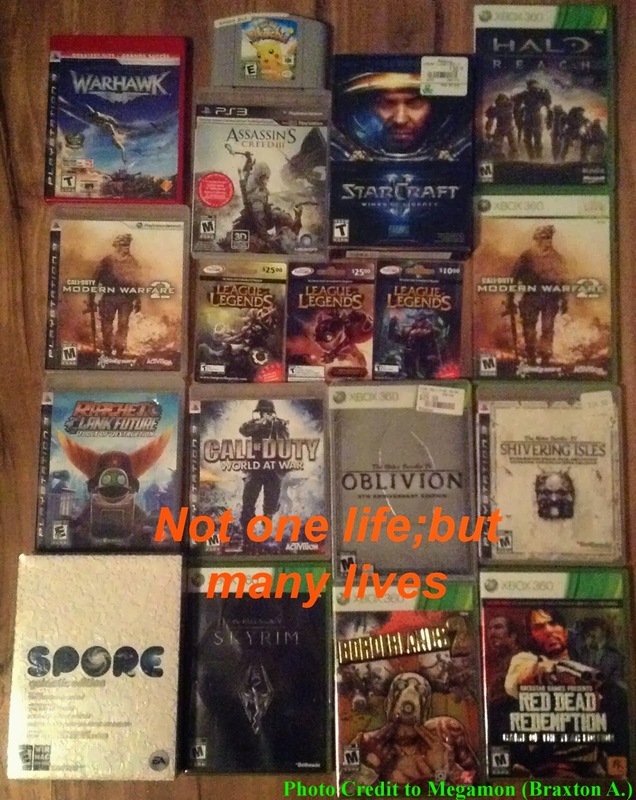 The idea behind me using the phrase “Not one life; but many lives” is that as a gamer. 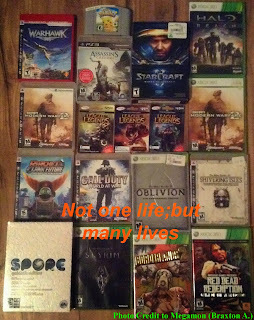 I get to be a completely new person and take on a new persona every time I play a video game whether I am a Master Assassin, an elite soldier or even a champion on the fields of justice. Which not only gives this feeling of escapism from my daily life, it lets me see the world in a different perspective that I may never had though about before. I didn't really use any special effect or editing (besides some colour correction and cropping) for this picture because I felt anything I added would take too much attention from the words/messages I was giving.